I became intrigued by Red Velvet Cake after watching an episode of Throwdown (one of Bobby Flay’s shows) a couple of years back. This was right around the time I was plotting to take out Sprinkles with my own cupcakes, so intrigue soon turned into borderline obsession. I made red velvet cake a few times over the past couple of years, mostly when the color matched the holiday. 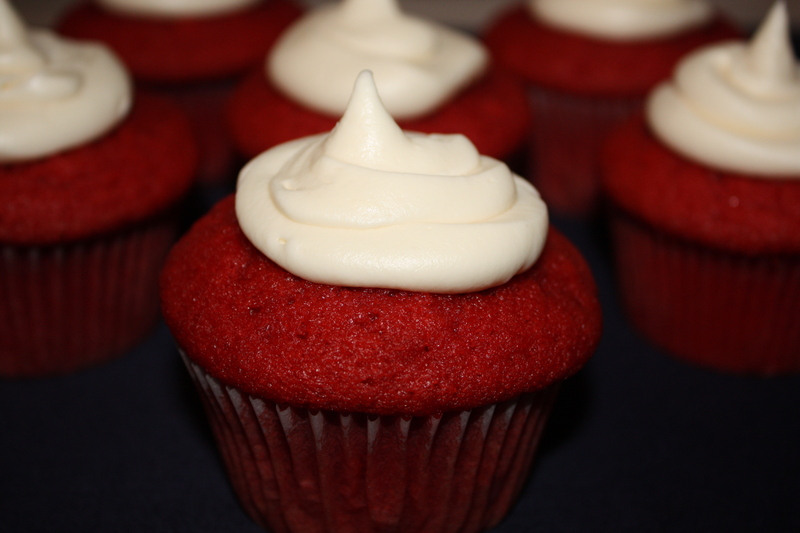 At the time, I was set on using butter in my cupcakes, and I sought out recipes for red velvet cake that used butter, rather than oil. Over and over again, I was not all that happy with the results (too dense, a little dry). A couple of things happened over the past two weeks that had me rethinking the butter thing. First, I watched an old episode of Good Eats that talked about chiffon cupcakes, and how the original recipe came from someone looking for a lighter-textured cupcake…which was achieved by using oil, not butter. Second, I decided to test-drive Terri Wahl’s recipe from the Throwdown episode. 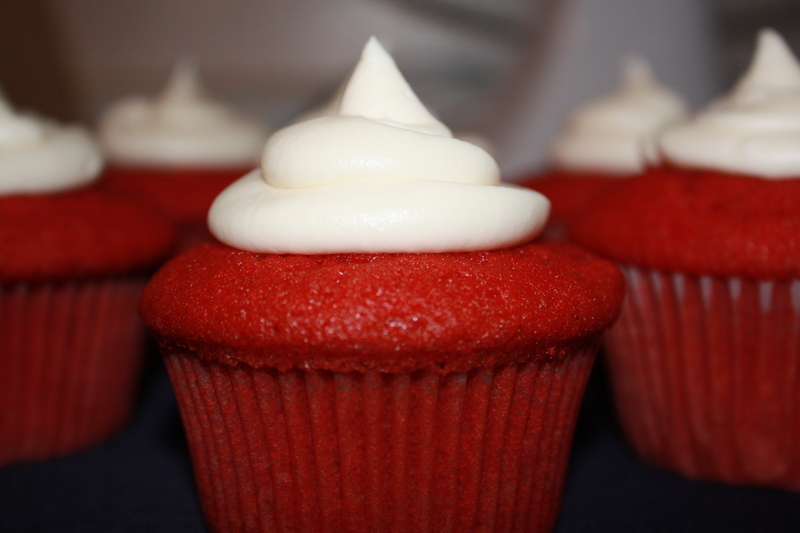 Finally, I was reminded of my red velvet fascincation when I saw Nicole’s recipe for red velvet cupcakes on Pinch My Salt, and I decided to revisit this dessert. Terri’s recipe reviews were mixed; some thought the cupcakes were overly greasy, others said the cupcake papers absorbed excess oil just fine. I decided to take my chances, and oh my, am I glad that I did! These cupcakes are just the texture I wanted. They are light, fluffy, and moist. If you’ve ever had problems with your red velvet cake being a little on the dry side, try this recipe, you won’t regret it. I made a few changes from the original recipe, and I can say that this will definitely be my go-to recipe for red velvet cake from this point forward. In a mixer fitted with paddle attachment, mix oil, sugar, and buttermilk until combined. Add eggs, food coloring, vinegar, vanilla and water and mix well. Add the dry ingredients a little bit at a time and mix on low, scraping down sides occasionally, and mix until just combined. Line two muffin tins with paper liners, scoop the batter into the liners and bake at 350 degrees F for 20 to 25 minutes or until the toothpick comes out clean. Let cool. 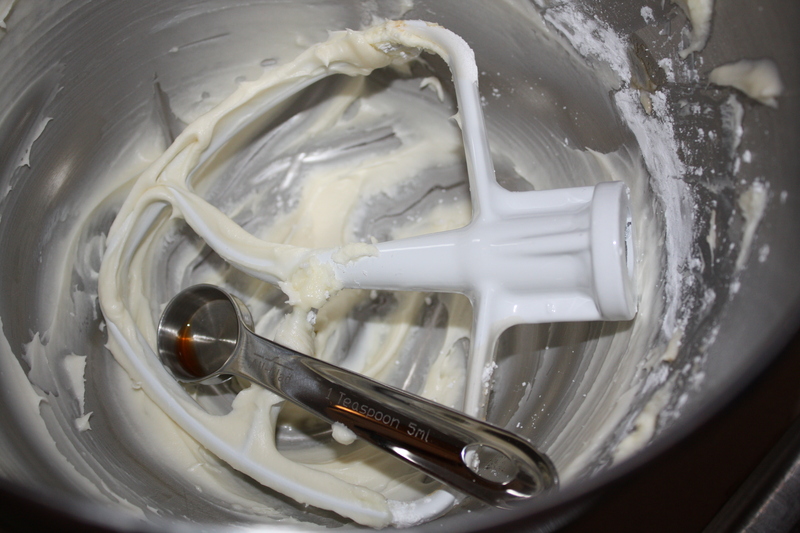 Mix the butter, cream cheese, and salt on medium speed until very well blended, about 2 minutes. 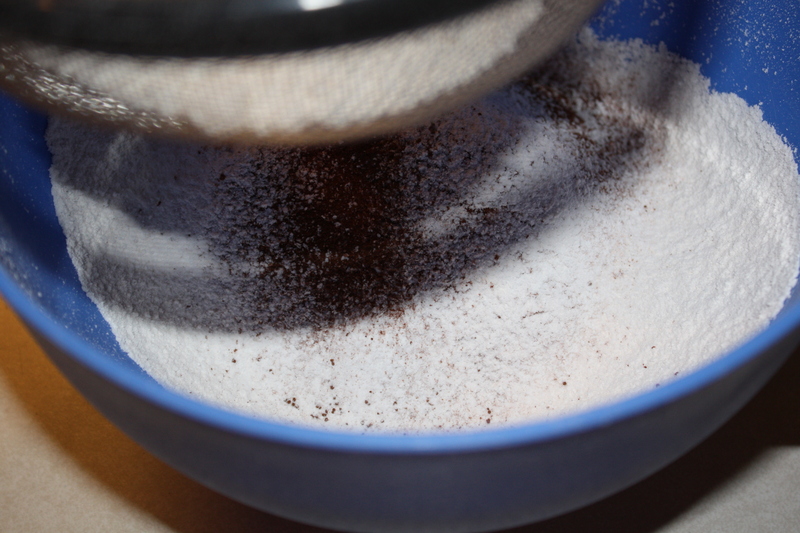 Lower speed to lowest setting, add powdered sugar a little at a time until mixed, scraping the bowl as necessary. Add vanilla, mix on low until combined. 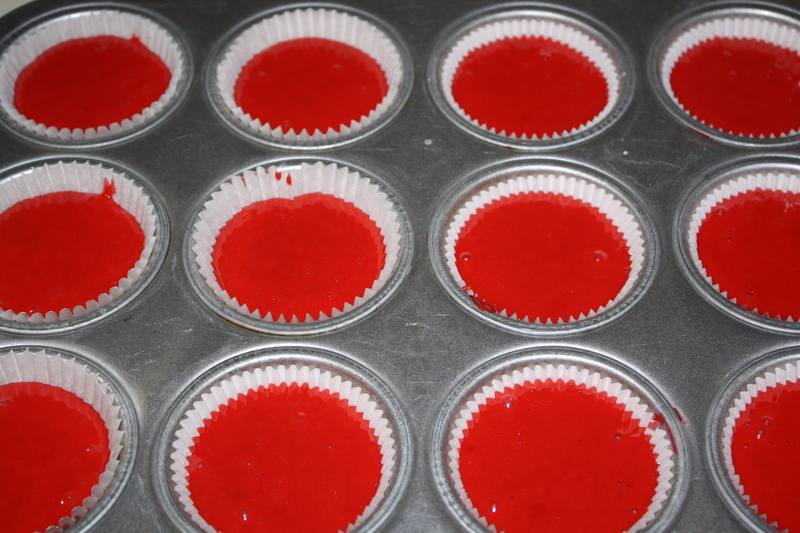 Pipe frosting in the center of each cupcake (you can use a tip with a decorator bag, or just use a plastic baggie and cut the tip off one of the corners), allowing the edge of the red cake to still show.